John M. Abowd is the Edmund Ezra Day Professor of Economics, Professor of Statistics and Information Science at Cornell University. On June 1, 2016 he began a three-year appointment as Associate Director for Research and Methodology and Chief Scientist at the United States Census Bureau where he leads a directorate of research centers, each devoted to domains of investigation important to the future of social and economic statistics. At Cornell, his primary appointment remains in the Department of Economics in the ILR School. He is also Research Associate at the National Bureau of Economic Research (NBER, Cambridge, MA, on leave during the appointment at the Census Bureau), Research Affiliate at the Centre de Recherche en Economie et Statistique (CREST, Paris, France), Research Fellow at the Institute for Labor Economics (IZA, Bonn, Germany), and Research Fellow at IAB (Institut für Arbeitsmarkt-und Berufsforschung, Nürnberg, Germany). Abowd is the Director of the Labor Dynamics Institute (LDI) at Cornell. He is the past President (2014-2015) and Fellow of the Society of Labor Economists. His current research and many activities of the LDI focus on the creation, dissemination, privacy protection, and use of linked, longitudinal data on employees and employers. In his earlier work at the Census Bureau he provided scientific leadership for the Longitudinal Employer-Household Dynamics Program, which produces research and public-use data integrating censuses, demographic surveys, economic surveys, and administrative data. The LEHD Program’s public use data products include the Quarterly Workforce Indicators, the most detailed time series data produced on the demographic characteristics of local American labor markets and OnTheMap, a userdriven mapping tool for studying work-related commuting patterns. His original and ongoing research on integrated labor market data is done in collaboration with the Institut National de la Statistique et des Etudes Economiques (INSEE), the French national statistical institute. 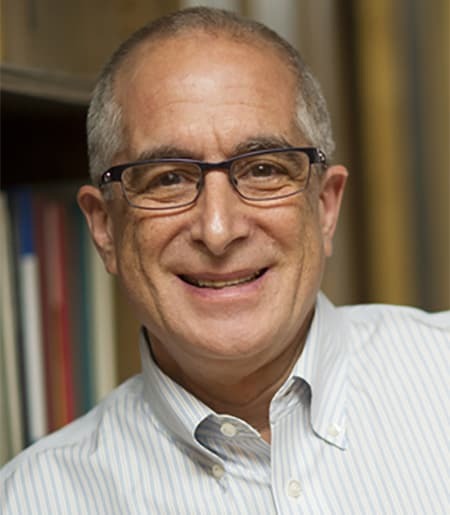 Prof. Abowd’s other research interests include network models for integrated labor market data; statistical methods for confidentiality protection of micro-data; international comparisons of labor market outcomes; executive compensation with a focus on international comparisons; bargaining and other wage-setting institutions; and the econometric tools of labor market analysis. Prof. Abowd has been Principal Investigator or Co-Principal Investigator for multiyear grants and contracts from the National Science Foundation, the National Institutes of Health, the Alfred P. Sloan Foundation, the Russell Sage Foundation, and the U.S. Census Bureau.